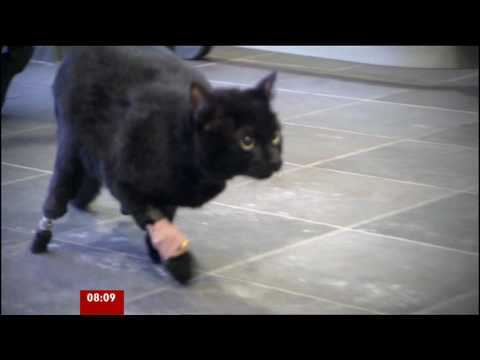 If cats have nine lives, they may have just acquired a 10th — thanks to a groundbreaking surgery that saved the life of a feline double amputee. 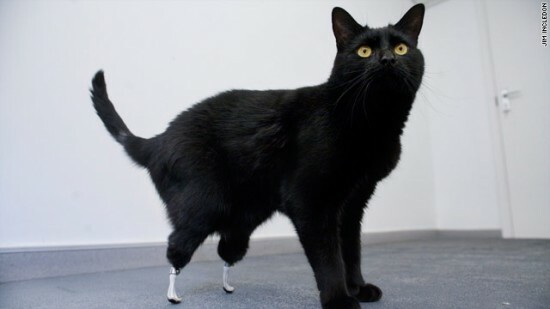 A British cat, Oscar, has made a full recovery after being fitted with a pair of prosthetic feet in November. The cat’s hind paws were severed by a combine harvester. Nice prosthetics. I was wondering if they could be made to look like little red boots? It would be adorable as well as functional.